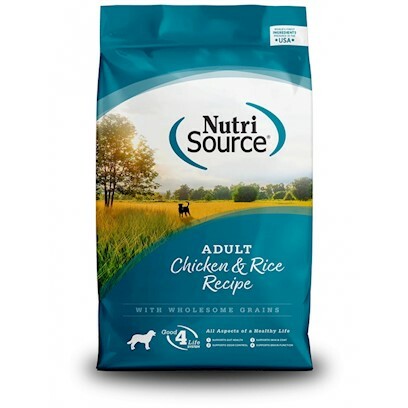 Perfect for all breeds, NutriSource Adult Chicken and Rice Dry Dog Food utilizes a holistic, easy to digest recipe for ideal health maintenance. Using humanely certified chicken along with other holistic ingredients, this recipe provides perfectly balanced nutrition your pup is sure to love! Nutrisource recipes always include their Good 4 Life system with ingredients that work together to promote gut health often showing health improvements within the first feeding!